League of Dragons is the final book in the Temeraire series. Naomi is currently writing it. There is no publication date. That will not be known until she turns in the manuscript. We all hope it publishes in 2015 though. Keep your fingers crossed! The cover has not been done either. When it is finished, it will be posted here immediately. I am sad to see the end of this magical series. The Temeraire series has become my favorite set of books. While I’m sad to see the story of Temeraire and Laurence come to an end, it has been wonderful to follow their adventures during the Napoleonic Wars. 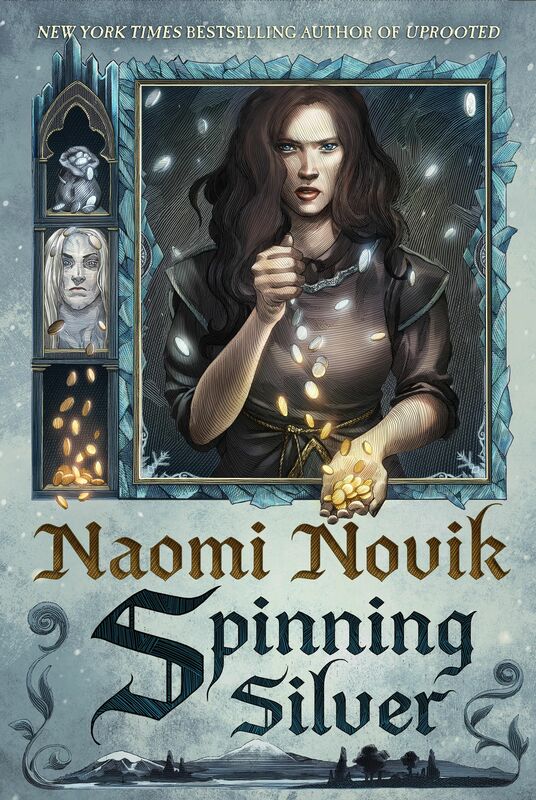 Naomi Novik, thank you so much for providing the public with such an amazing book series. I am looking forward to the final book in this series but will be sad to see it end. It caught my imagination and my heart in the first book and never failed to keep it. I hope someday we may see it at the movies—it will make a wonderful trilogy to rival Lord of the rings. Thank you for a wonderful fresh approach and bringing to life one of my favorite fantasy creatures. I’ve read them in Dutch and english, and they are so good! Recommanded for every person who loves fantasy. And Naomi, one word comes to mind: wow! I’m Dutch too and eager to read all the books from this lovely series, but is it easy to read in english. I love Temeraire and the series. I will indeed miss new adventures with him, but would be happy to see him have a happy ending in this story. Can’t wait to read it! <a href="http://naominovik.com/wp-content/uploads/2012/10/martin-temeraire.jpg&quot; title="All hail Temeraire! It takes a talented author to know when to write the last page of a story…and that point is different for every author. If Naomi thinks it’s time, then it’s time. I’m looking forward to seeing what the next big idea is. So, please, keep working on this universe! It’d be really fantastic! 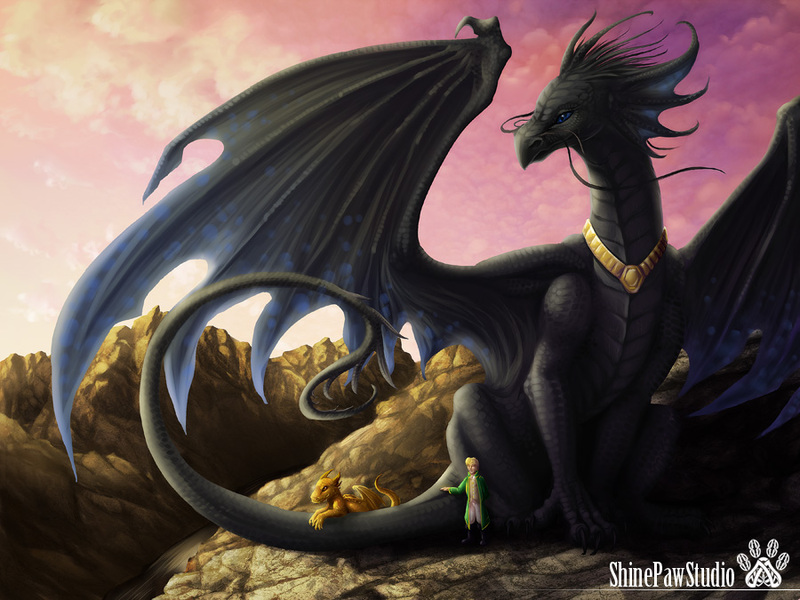 I have fell in love with Temeraire & Laurence and will miss them. I love this store so much I have pasted my books on to my eldest son 3 weeks ago, he is on books 4 and calls me every time he finishes a book and I get to relive the story line again with him. I want to thank you Naomi Novik for such a great story and a chance to create special memories with my son when we relive this wonderful story. Thank you again @ All Hai Temeraire and Laurence. LoL just thinking about artistica85’s post-apoocalyptic idea. Temeraire and Laurence wake up from cryo sleep and stumble out of Vault 13 into Bethesda’s Fallout New Vegas. They now must survive in the Mojave Desert with everyone speaking a strange American ascent. No, as funny as that would be I think if Naomi did do a post-apoocalyptic story we would have to abandon Temeraire and Laurence to the passage of time. However, it would make a good story: that as humanity must recreate society they must also reform the relationship between dragons and humans. La fin… c’est trop tôt Naomi ! c’est toujours trop tôt ! tu peux pas nous faire sa ! Dans tout les cas, sache que, parmis tout les livres que j’ai lu, cette série restera la meilleur et la plus marquante pour moi. Donne nous une fin digne de ce nom ! je me repellerai toujours les heures de bonheur que j’ai eu en lisant cette série, encore et encore sans m’en lasser…. Si cette perle doit finir là, donne nous quel que chose de grandiose. Et si un jour, un, voir des films de Téméraire sort, j’espere qu’ils suivront fidélement l’histoire. Merci encore pour ces lectures excellente Naomi. I agree with everyone here (since we all seem to be in agreement)! The Temeraire series is, in my opinion, the best dragon story out there. However, I, like many of the people out there, do not want this amazing world that Naomi has constructed to die. There are still so many options and lore for this highly in depth world that I could see several more books written. I’m afraid I have to disagree with Rashkavar when he says that the story may become stagnate as it hits double digits. I feel there is so much more potential. After all, there are more wars after Napoleon and many dragons besides Temeraire (though I still believe that Temeraire/Laurence themselves have many more stories to go through). Also there are many issues still from this series that I would find hard to encompass in a single book (rights for dragons, settling the problems with Lein, actually beating Napoleon, the problems in China, the Incas, Japan, etc). Truly I feel the series could go on indefinably: why not rewrite all of history with the addition of Naomi’s world? Now I know that would get ridiculous after a while, but in all honesty we could see dragons in WW2, to give an example. Though by then Laurence would have to have died, Temeraire could still be alive (it is only 124 years from the end of Napoleon to the beginning of WW2 and, according to the Wiki, heavy weights can live up to 400 years). Do I want to see Temeraire fighting Nazis? Maybe yes, but I think by that time the series would have run its course. However, only eight years and one war seems an awfully short time for such a well construed fantasy land. Even if Naomi truly feels like it is time to lay Temeraire/Laurence to rest (I wouldn’t know why though) there are many other stories waiting to be told. One more note before I wrap this up. I want to say why I think this series is so successful. In my opinion it is a completely new genre. It is historical fiction, yet it is so fictional that it has dragons. It has dragons, yet it doesn’t have all the weird magic that often goes along with dragons. Even Naomi’s new book seems rather strange when compared to the straight forwardness of Temeraire (not to mention: someone who is a man that can use magic to turn into a dragon doesn’t count as a dragon). But behind all I just said I wish to say to Naomi: thank you for creating Temeraire! I truly hope you will rebirth him, Laurence, and all the rest in that wonderful world someday! Amazon has League of Dragons with a release date of March 31, 2016. This might just be a placeholder but they’re usually fairly close with future dates. Will be sorry to see the series close but glad it hadn’t run out of steam. Been checking for a release weekly for six solid months now – looking forward to this so much! Although I know I’m going to get post-series depression from it, I’m looking forward to seeing how Temeraire ends. -Lien vs Temeraire + Napolean/De Guiness vs Laurence. -Lung Tien Kazilik; I’m looking forward to more insight into how cross-breeding works. Like, what would you get if you crossed divine wind with nightvision? Echolocation? A very noisy night-owl mentality? -Temeraire and Laurence both happy at the same time without a looming disaster. -A conclusion to the British vs dragons culture issue. -More time with the dragons that don’t act mentally disabled. Can Celeritas fly a wing with General Chu and Excidium? /Please/? Getting Uprooted and then rereading again to tide me over till League of Dragons arrives. Thanks for the ride Mrs. Novik; its been a pleasure visiting the world of Temeraire.